At cannes lions this year DOOH.com decided to wow all the delegates with largest ever space invaders game in the world!! 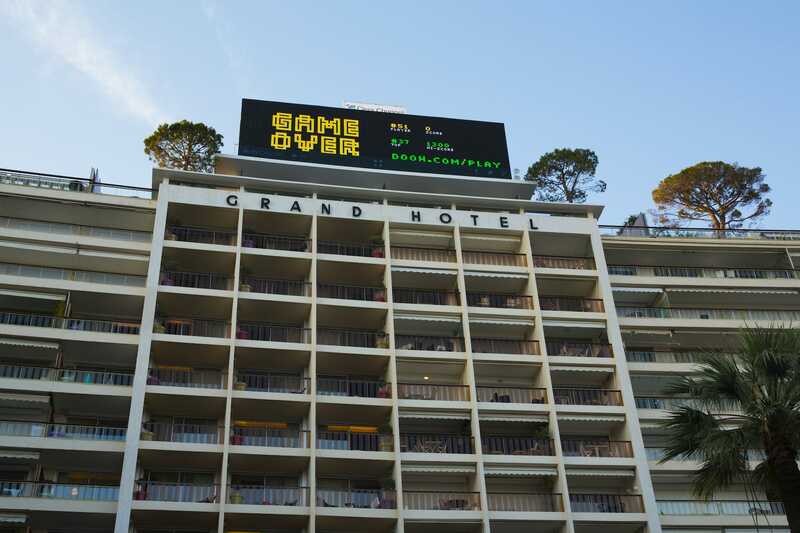 At Cannes Lions this year, DOOH.com decided to wow all the delegates with the largest ever Space Invaders game in the world!! Each night, hundreds of people gathered to beat the highest score. Every player was amazed because they only needed their mobile phone to play.